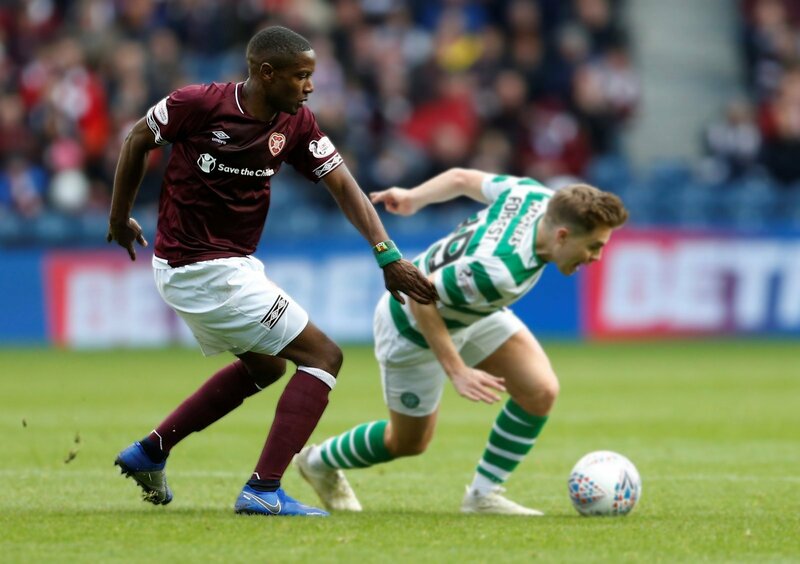 Arnaud Djoum is a summer target for Birmingham City as Garry Monk looks to add to his small squad ahead of the 2019/20 campaign. The Daily Record is reporting the Birmingham City boss is keen on snapping up the defensive midfielder the this summer after his contract with Hearts expires. The 29-year-old is out of contract at the end of the season, and that has piqued the interest of Monk who is keen to add the player to his Blues side. Birmingham are not flushed with cash and may have to use free-transfers as a way to improve their side this summer. According to the Scottish Sun, the Blues boss was in attendance to watch the former Rangers man in action in Hearts’ 2-1 win over Kilmarnock at Rugby Park. Djoum has been offered a new deal to stay with the SPL side, but he is yet to sign anything with a potential move to the Midlands seemingly an option in the summer. The midfielder has made 21 appearances for the Jam Tarts this term, scoring thrice and has been an impressive performer for Craig Levin’s side. But would it be a good signing? We asked the question to our team of FLW writers and asked for their thoughts on a potential move for Djoum to Birmingham City. Here’s what they had to say on the matter. “I’m not so sure about this. “Roda, Lech Poznan, Hearts… it’s not a CV that gets my pulse racing. “At 29-years-old he’s not a young man either. “There’s a little bit more risk in this deal, but it could work out to be a good one for Blues. “Monk’s recruitment is generally good, so he will know all about Djoum. “Monk is pretty meticulous with his planning of future transfers, that is why he is more suited to work on a tighter budget. “And that is evident in the interest of Djoum. “He might not have the best track record at clubs in the past, but he could turn out to be a shrewd signing for the Blues next season.